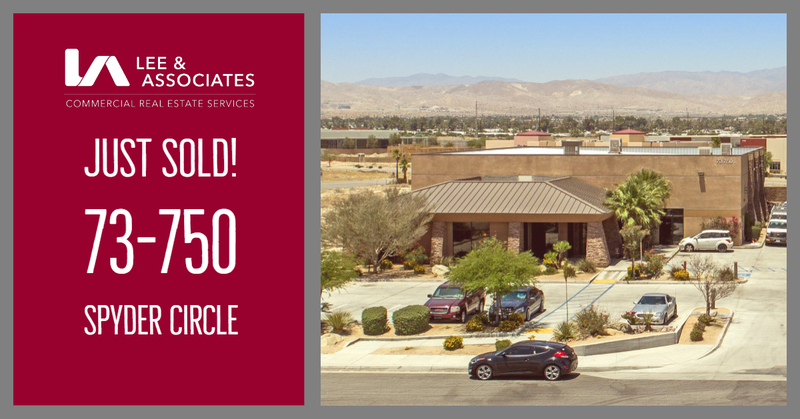 Coachella Valley's Commercial Property Leader, providing realistic solutions for today's market. Our professional real estate agents offer more than a combined 70 years of commercial real estate experience in retail real estate, office space, industrial property, land and multi-family properties for sale or lease in the Coachella Valley. We succeed from investing in your success. We listen; we share our real estate market expertise and we stand behind the results. Owned and operated by Maggie Montez, Lee & Associates Palm Desert opened their doors in March of 2012. Using the Lee platform to recruit the best commercial real estate brokers, the Palm Desert team represents some of the finest shopping centers, office buildings and industrial parks in the Valley. Our commercial real estate services cover the Coachella Valley including: Palm Springs, Palm Desert, Indio, Cathedral City, Rancho Mirage, Indian Wells, La Quinta, Bermuda Dunes, and Coachella. We welcome the opportunity to meet with you and thank you for the opportunity to be of service. It's Just Lunch, Rucker Muth Corp.
Stay Updated. Lee Palm Desert. Supercuts Just Leased In Palm Springs!